Coat of Arms: A red shield, with three silver wolves' heads. Motto Translated: Glory is the reward of valour. 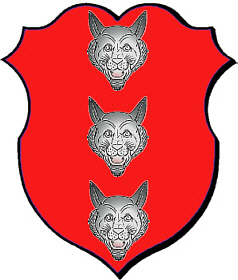 Coat of Arms: A red shield with three silver wolves' heads. Same as the Dutch shield. 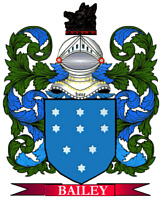 Spelling variations of this family name include: Konklin, Conklin, Conkling and others. First found in Switzerland, where the name came from humble beginnings but gained a significant reputation for its contribution to the emerging mediaeval society. Some of the first settlers of this family name or some of its variants were: John Conkling, who settled in Salem, MA sometime between 1620 and 1650; Ananias Conklin, who arrived in Salem, MA sometime between 1630 and 1640; Betsey Conklin, who settled in New York, NY in 1821.